Occasionally, we love to highlight interesting socks that we find across the internet. 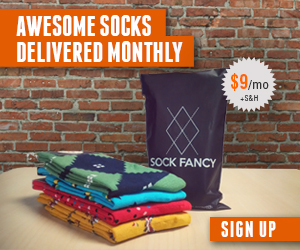 Sock of the month clubs are great, but some sites just make it simple and fun to buy socks online. 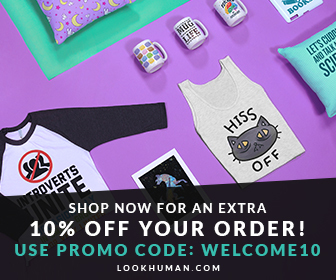 What does LookHUMAN offer for buying socks online? Pretty much every fun and cool pair of socks you can think of. They have funny socks, cute socks, nerdy socks, political socks, holiday socks, and more — the list goes on and on. Some of our favorite pairs of socks that they offer: Ruth Bader Ginsburg socks (honoring the supreme court judge), Guacamole pattern socks (honoring the supreme avocado), and It’s Wine Time socks (honoring the supreme beverage). So if you are looking for a pair of socks that is just super fun and don’t necessarily want the whole sock of the month subscription package, start at LookHUMAN. For 4th of July, use the code “WELCOME10” for 10% off any order.